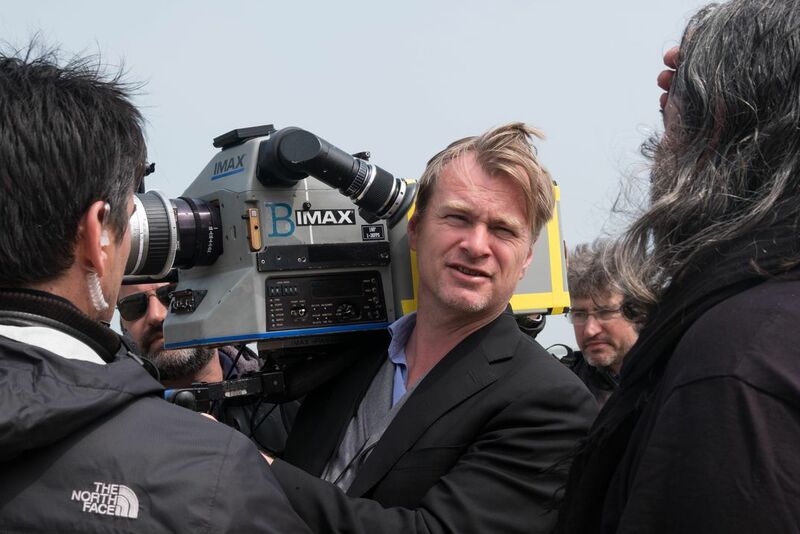 Filmmaker Christopher Nolan presses the case for film preservation at the Library of Congress. Let it be known throughout the land that Christopher Nolan, the celebrated auteur filmmaker responsible for Dunkirk, Interstellar, and the Dark Knight trilogy…occasionally reads books. The annual meeting of the Library of Congress’ National Film Preservation Board, which each year selects 25 movies to archive as culturally, artistically, and/or historically significant, was the occasion for Nolan’s latest visit to Washington, D.C. last week. 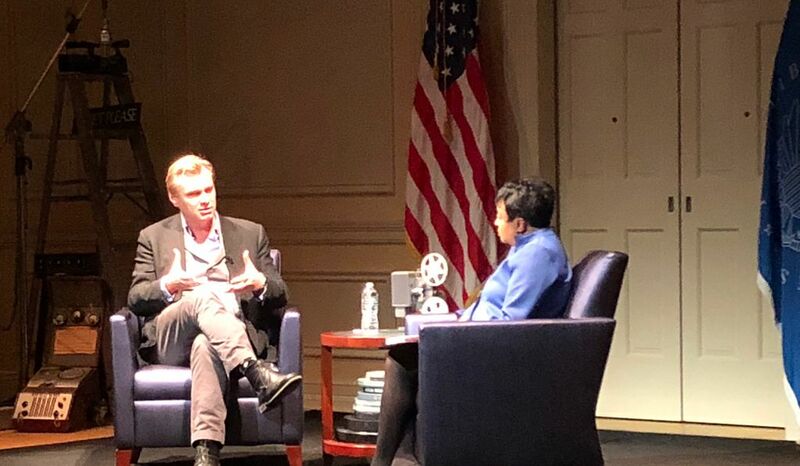 “We’re not going to break any news here” about the chosen movies, joked Carla Hayden, Librarian of Congress, while interviewing the filmmaker in front of a capacity audience at the Library’s Coolidge Auditorium for about an hour Thursday night. Hayden at one point asked Nolan, who has writing credits on all ten of his feature films, if his lifelong interest in storytelling extends to prose. 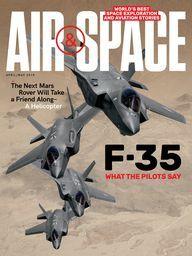 “It’s a fair question. I am absolutely more cinema-literate than literate-literate,” he replied. He went on to ruminate that “psychological characterization would have been alien to [Geoffrey] Chaucer,” and that the ascendancy of film—particularly the film noir genre that sprang up after World War II—returned the emphasis in storytelling to behavior rather than one’s internal monologue, where it had largely resided when the novel was the dominant medium. He then admitted he’d never read Charles Dickens’ A Tale of Two Cities, until his brother and frequent collaborator Jonathan Nolan told him the serialized novel, which was published in 45 weekly installments throughout 1859, had strongly influenced his first draft of the screenplay for the 2012 hit The Dark Knight Rises. Christopher dutifully read his Dickens before sitting down to revise Jonathan’s script. “It’s my favorite book,” he said, smiling. While Nolan’s two most recent films have dealt with space exploration and World War II, respectively, most of the conversation was devoted to Nolan’s passionate belief in the need to maintain films in their native format. (A short video about the National Film Preservation Board’s work that preceded the interview estimated that 70 percent of the films made in the U.S. during the silent era have been lost.) He remains one of the few top-tier commercial directors who continues to shoot his movies on film—Dunkirk, his summer hit about the 1940 evacuation of British soldiers aboard civilian boats, was shot entirely in the IMAX format. The film also deemphasized dialogue, telling its story primarily through imagery and sound design. 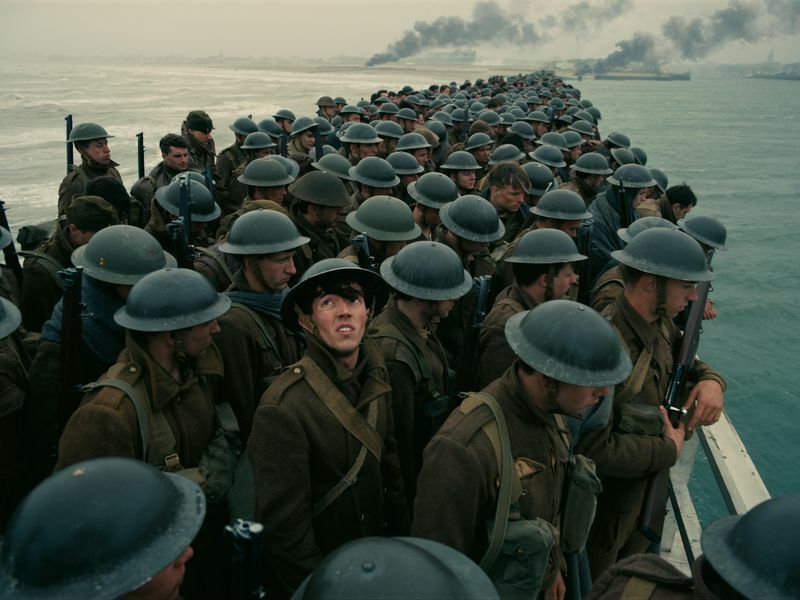 Nolan said he’d prepared for the movie, and particularly the scenes featuring thousands of extras filmed on the beach at Dunkirk, by revisiting the epic films of the silent era. His insistence upon shooting at the real site of the evacuation and using thousands of extras instead of just using computer generated imagery to make a small crowd look like a very large one are par for the course with Nolan. 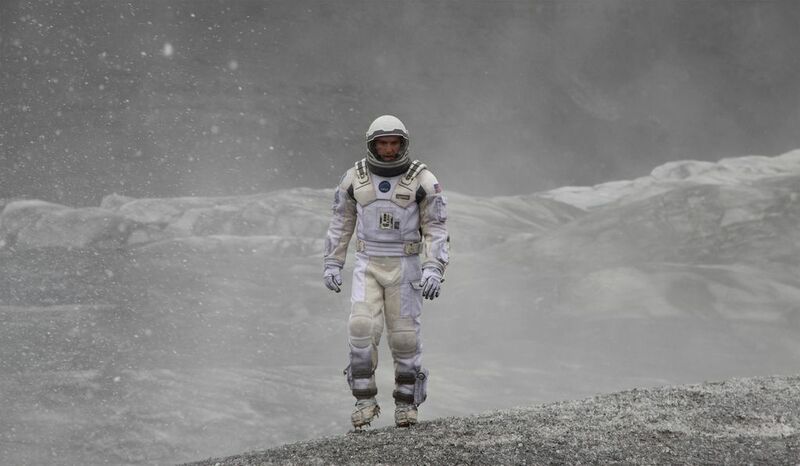 Even Interstellar, a film set some unspecified number of decades in the future, about astronauts exploring other solar systems for possible human colonization, enlisted Nobel Prize-winning physicist Kip Thorne (who also contributed to the story) to try to make its theorizing about the nature and appearance of black holes as authentic as possible.